​Ninness Funeral Home are a provider of modern funeral services for families in Wellington and Porirua who want a simpler, more graceful and more environmentally-friendly ways of celebrating a life well lived. As a modern funeral home, we use modern cremators with lower emissions that reduces the environmental impact of cremation. Many of us have concerns about the depletion of the earth’s resources, sustainability, and the size of our own ‘carbon foot print’. So now more than ever is the time to be seriously exploring greener options in our lives. Times of death should be no exception. Green Burials and the Ninness Funeral Home in Porirua and in the Kapiti Coast, support sustainable practises. Here are some ideas on how you might arrange a ‘greener’ funeral. Eco-Friendly Embalming… or No Embalming At All? When instructed, embalming is carried out for viewing purposes. However more environmentally friendly embalming variations are available. We have bio-degradable embalming fluid, shampoos and cleaners for occasions when embalming is required. Embalming is not always necessary - even when your loved one is to be taken home. Consult with your funeral director for advice on what this might involve. Your options may vary depending on factors like the cause of death, the support you have and your ability to cope. (You may be asked to sign a disclaimer form). • At Ninness we have a cooler for use, when embalming is not wanted. In a Natural Burial the body is returned to the earth for the benefit of the environment and all concerned. There are two Natural Burial Cemeteries in our region, one at Makara, Wellington and the other at Otaki, Kapiti Coast. 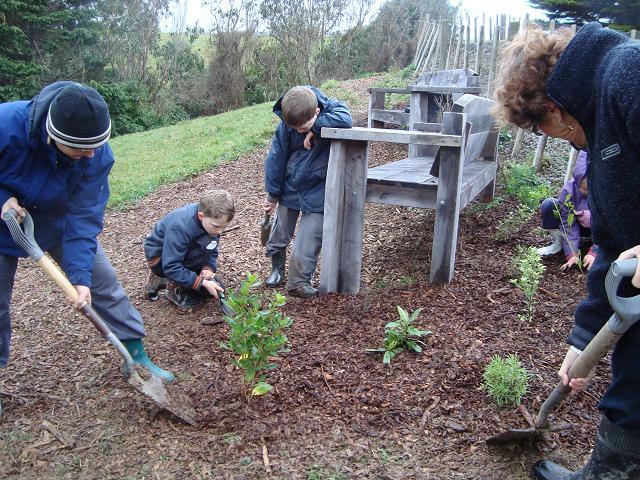 They are managed by Wellington City Council and Kapiti Coast District Council respectively. 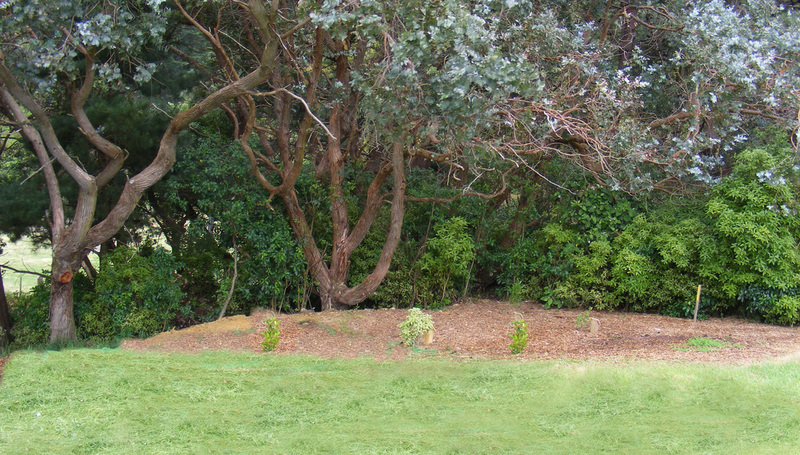 Wider plots to allow greater space for a tree to be planted and flourish. Shallow plots to enable burials into the active soil layer. Aerobic, organically active soil is used to fill the grave in, to more quickly return the body’s nutrients to the ecosystem. The only monument allowed is an engraved wooden marker post which is supplied as part of Natural Burial’s fee. Records are kept by the respective council of the GPS co-ordinates. There is a choice of 12 local trees available for planting on this natural grave with the idea of eventually returning the area to native bush. A casket must be made from untreated, sustainably grown wood or cardboard. These are available through your funeral director. Alternatively a wooden support tray may be used instead of a casket. A shroud may be used instead of clothing. Avoid non-biodegradable clothing and also attachments like zips, hooks and eyes, domes, bottons etc. 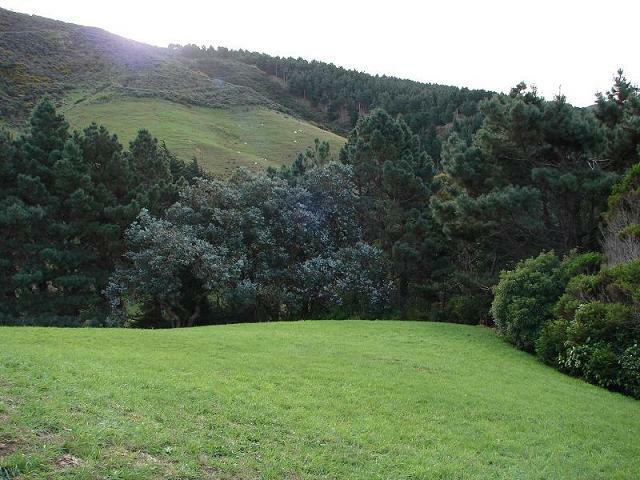 The plot at Makara cost $2,896.00 and at Otaki cost $3,049.00. If the Natural Cemetery at Makara or Otaki seems too far away, then perhaps think about using your local cemetery and incorporate other environmentally friendly options. Local cemetery graves can be double depth allowing for the burial of 2 family members together, thus taking up less land. Some cemeteries even have triple depth plots. As a modern funeral home, we use modern cremators. This technology has double burning capacity and is designed to have extremely low emissions. Ash burials contain no nutrients so while burial is an option, there will be no benefit to the environment. Ashes may be scattered in a place of some significance or combined with soil in a pot plant. We have a variety of bio-degradable caskets for you to choose from. These materials are all sustainably grown and manufactured, and contain no glue, metal or chemicals of any kind. These compliment the caskets in our regular range. Ask your funeral director for a look at our catalogue. Print your song sheet on recycled paper. Instead of the traditional flowery casket spray, provide the florist with cut flowers from the garden, or sprigs of native bush. Lavender and rosemary have traditionally been associated with death and grief. All our hearses are late model, fuel efficient vehicles. If you want to use your own vehicle to transport the casket, make sure the station wagon or van is large enough to contain the casket safely. Use a silk or cotton shroud or clothing to dress your loved one in. Avoid clothing which has non-biodegradable buttons and zips etc. Make sure any mementos placed in the casket are biodegradable. Catering doesn’t have to be a lavish affair. You could request for example, fresh, unprocessed food like fruit platters and vegetable dips. … and the list goes on, limited only by your imagination and skill. Artisan - Beautiful, lightweight and strong top quality plywood. We are keen to help you reduce your impact on the environment through a Green Burial or an Eco-Friendly Funeral and Farewell. Call us with your questions, or to talk over your ideas.